We’re not just about babies and toddlers here at Babyology, we often have awesome finds for your older children too. 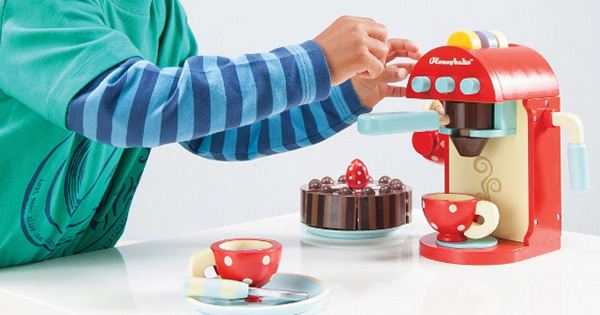 Click on through to reveal our shortlist of fab finds we think would make stellar birthday gifts for children aged four and over. 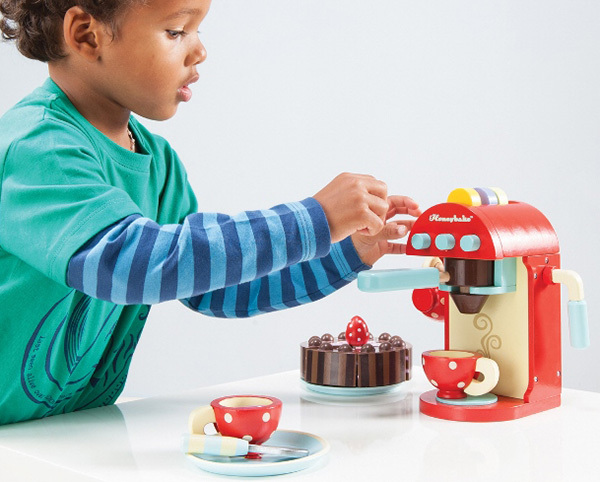 Pretend play really comes into its own with kids this age, so toy kitchens are incredibly popular. While kitting out the pretend kitchen, a worthy contender and awesome for birthday baristas is the Le Toy Van Chococcino machine. Birthday babyccinos for everyone! 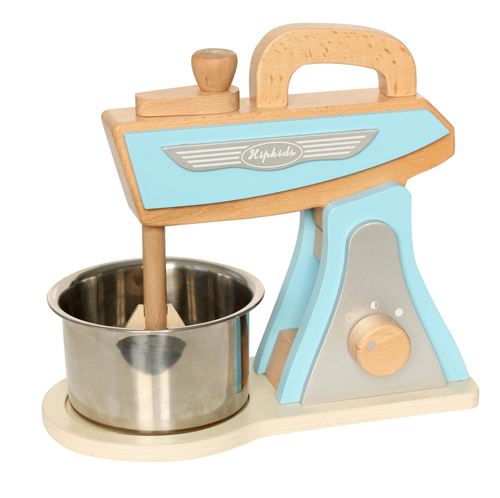 Hip Kids is a treasure trove of awesome gift ideas for children, but it’s the pretend play food and kitchen appliances, such as this rather lovely Hip Kids Blue Retro Kitchen Toy Mixer that make my heart beat a little louder. 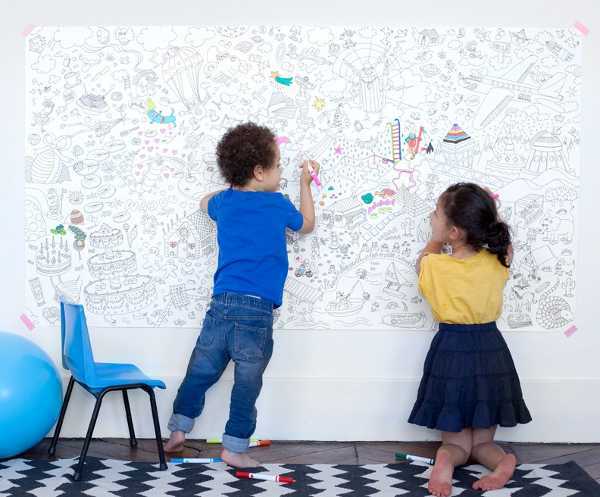 If you’re throwing a party, an awesome gift idea for a whole group of children to enjoy is the magnificent Omy Giant Colouring Poster – that’s a sure fire way to keep them all busy for an extended period of time! 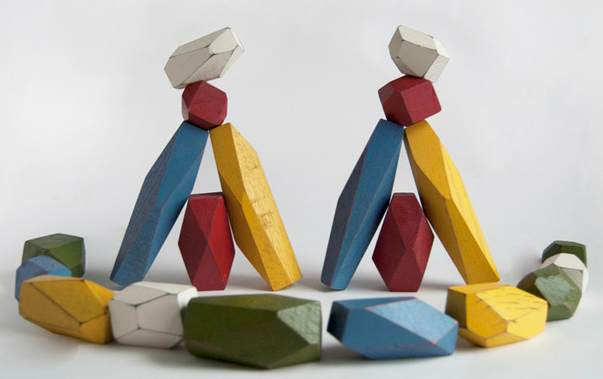 You’re never too old for block play and I personally adore this Areaware Balancing Blocks set – it’s definitely up for the older kid challenge. Kids will be fascinated and no doubt filled with steely determination to build a structurally sound (or at least before someone touches it) building using these ten multi-faceted shaped blocks. Imagination is the limit when it comes to colouring and decorating a blank page, the very reason why I think Rock and Pebble Dollhouse Book is perfect for those who love to craft things their own way. 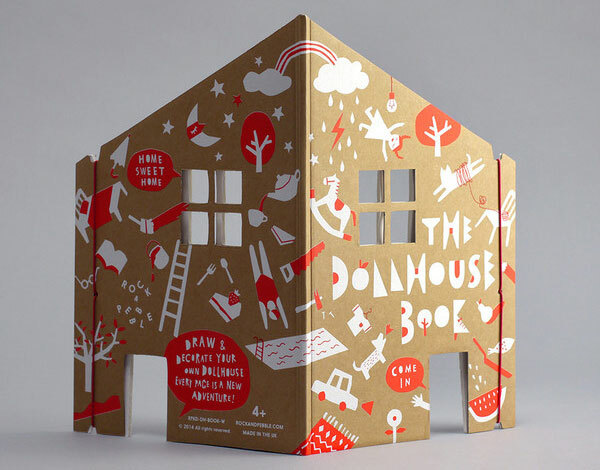 Fill it with drawings, cut outs, stickers and washi tape – it’s a blank canvas that’s set to become a masterpiece – added bonus is you can flip it open to create a dollhouse. 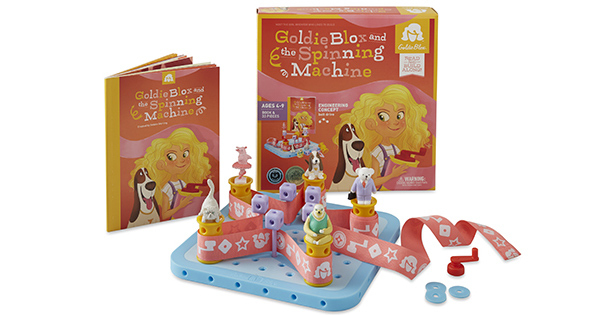 If it’s a problem solving and learning game you’re after, we recently featured the GoldieBlox toy range which fits this bill perfectly. A story and game in one, it’ll keep young minds intrigued as they nut out answers to the fun dilemmas that arise! Parents of Lego lovers, Hot Wheels car enthusiasts and all fiddly toys in between (I’m looking at you, Sylvanian Families) will love the easy clean up of the Play N Wrap. Kids to play to their hearts desire on the mat and clean up is done in one tug of the drawstring cord. There’s lots of little surprises for children at Le train Fantome, from quirky soft toys to badges and stickers, and all with a distinct French influence. 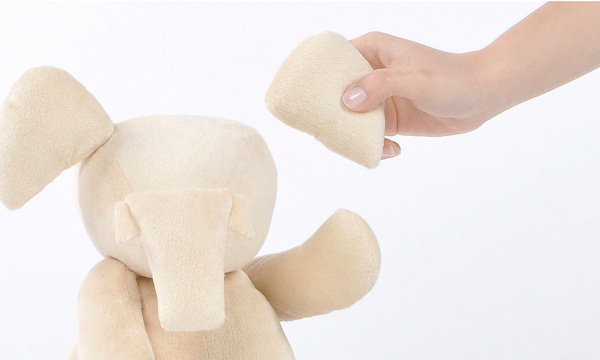 For soft toys with a difference, we loved the Huzi soft toys that let you (or the kids) determine what ear, arm or leg belongs thanks to the fun magnetic concept. Mix and match to your heart’s desire in making your very own unique plush friend. 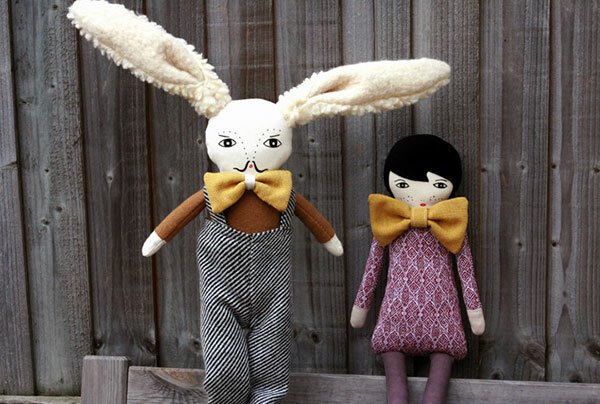 We round off our kids birthday gift guide with some gorgeous wooden wares from Blue Ribbon Toys. Makers of superbly detailed emergency vehicles, table and chair sets and even a work bench – but the show stopper for me is their exquisite Multi Level Dollhouse.